Besides success, what did Hugh McColl & Sam Walton have in common? They walked among their troops. They personally sought frontline input. Management ALWAYS sets the tone. In every successful company in which I worked or advised, C-Suite members routinely walked among the frontline & sought their insights. They didn’t outsource it to HR or Marketing. They weren’t isolated in their ivory tower. 1) Are ALL of your executives (& middle managers) having a Start/Stop/Keep conversation with at least one employee weekly? 2) Are the insights from employee conversations shared at your weekly executive team meeting? 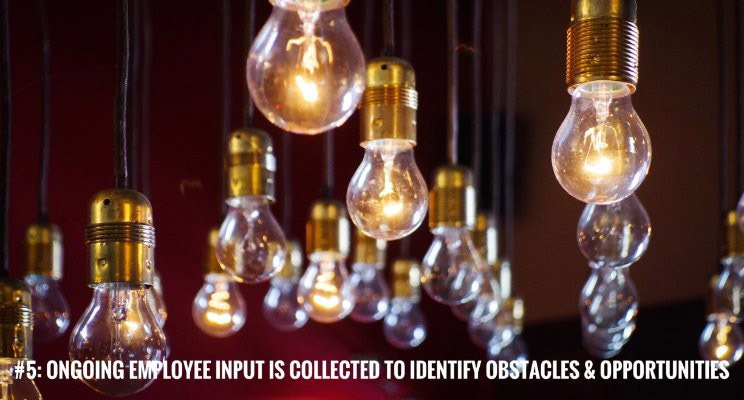 3) Is employee input about obstacles & opportunities being collected weekly? 4) Do you have a mid-management team responsible for the process of closing the loop on all obstacles & opportunities? *Verne Harnish created the “Rockefeller Habits” based on the leadership and management principles used by John D. Rockefeller.